Camille N. Z. Coudrat (a.k.a. Kham) is French. 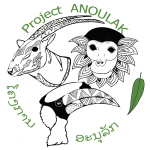 She is the founder and director of Project Anoulak. 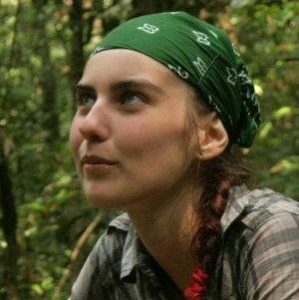 She conducted her PhD research in Nakai-Nam Theun NPA from 2010 to 2013 with the thesis title: Species distribution, abundance and conservation in Nakai-Nam Theun National Protected Area, central-eastern Laos: implications for future local conservation project. 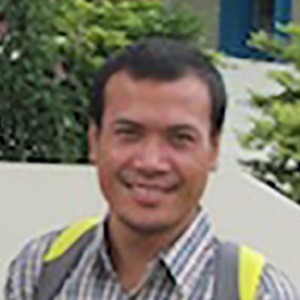 Mr. Chanthalaphone Nanthavong (a.k.a. Tou) is from Laos. 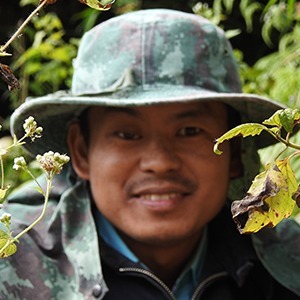 He has been working in Nakai-Nam Theun National Protected Area since 2007 involved in wildlife monitoring activities. 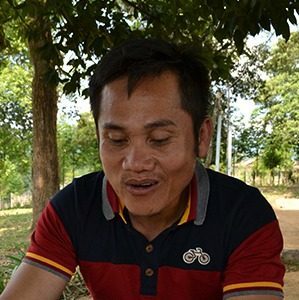 In 2014, he graduated with a Masters in Environmental Sciences at Suranaree University of Technology in Thailand; he conducted his final research project on the abundance estimation of white-cheeked gibbons in Nakai-Nam Theun National Protected area. Mr. Done and Mr. Chalor are our primate research team leaders. They are collecting valuable data on the ecology of the red-shanked douc. Four villagers from the local community are assisting the primate research team leaders. 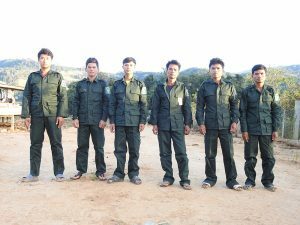 We are currently employing 24 villagers from the local community for anti-poaching patrols.